Ten days passed by in a flash, during which time Bai Xiaochun never went outside. He remained in seclusion in the Inspections Manor, getting familiar with the formula for eighteen-colored flame. With Bai Hao’s help, he was gradually making progress. He had even attempted to do a few conjurings. However, the resource wastage was incredible. The formula for eighteen-colored flame was different from other formulas, and took a lot more resources. In fact, to conjure a single eighteen-colored flame required that he first conjure ten seventeen-colored flames. Despite the fact that Bai Xiaochun had access to vast wealth, he still couldn’t sustain such losses. “What am I supposed to do now…?” he thought. However, even as he pondered the issue, the Grand Heavenmaster did something major! After ten days of thought and contemplation, he acted in lightning-like fashion to arrest nine of the heavenly marquises! The arrests shook everyone in the Wildlands, even the four heavenly kings. All of Arch-Emperor City was abuzz, and the remaining ninety or so heavenly marquises were panic-stricken. Although no action had been taken against any of the heavenly dukes, they were also filled with dread. In fact, all of them chose to go into seclusion, and refused to see anyone who called on them. They simply did not want to get involved in what was happening. Even Chen Haosong knew that he was in a very dangerous position, and simply kept his mouth shut and went into seclusion. After the nine heavenly marquises were apprehended, their clans were left behind, trembling in terror. Furthermore, without express permission from the Grand Heavenmaster himself, none of them were permitted to leave the city. While everyone in Arch-Emperor City was shaking in fear, Bai Xiaochun finally got his orders from the Grand Heavenmaster. He was to go shake down the offending clans! At long last, Bai Xiaochun was able to make full use of his skills. He had been waiting for this day for some time. After the destruction of his spirit enhancement shop, he had been cut off from cultivation resource income. Now that he had been ordered to shake down some clans, he would finally get some money back. As soon as he had the Dharmic decree in hand, he was filled with excitement. “It’s going to take a lot of souls to practice with eighteen-colored flame. Too many to even calculate. There is really no trick I can use other than to simply practice over and over again! “Ah, shakedowns…. If I shake down nine heavenly marquis clans, then I can get to work conjuring some flame! !” Without the slightest hesitation, Bai Xiaochun took his army of 3,000 corpse troopers and immediately went to work with the list the Grand Heavenmaster had provided him. The time had come to do something that he was starting to get a bit entranced with… perform some shakedowns! “Fudge. I started shaking down clans almost as soon as I got to the Wildlands. First in Giant Ghost City, and now here in Arch-Emperor City. In terms of shakedown skills, if I ranked 2nd in the Wildlands, then there wouldn't be someone who ranked 1st!” Looking very proud and even disdainful, he headed toward the first clan on the list. As soon as he emerged from the Inspections Manor, it caused a big stir in the city. Even the most wicked and vile characters in the city got out of his way. The city folk trembled, and as for the nobility and aristocracy, they felt like they were in a nightmare from which they couldn't awaken. One after another, he took his terrifying army of corpse troopers to the clans and shook them down. He cleaned them out, down to the grass on the ground. Anything of value was taken, even building decorations. A storehouse of grain attacked by starving rats wouldn’t have ended up as empty. However, the star of the entire show actually wasn’t Bai Xiaochun, but Zhou Yixing. He was a true genius when it came to clan shakedowns, with eagle eyes that could find the most hidden of treasures. Thanks to him, every little thing was taken away. In order to make sure that he had plenty of resources to work with when concocting flame, Bai Xiaochun even woke up the little turtle. The little turtle was also very fond of shakedowns, and when he worked together with Zhou Yixing, they created a windstorm of calamity for anyone in their path…. Quite an audience went along with Bai Xiaochun to watch him shake down the nine heavenly marquis clans, and the sight left them stunned. Soon, all sorts of stories began to spread. The entire city was abuzz. Even more shocking to the people who were paying close attention was that Bai Xiaochun’s first shakedown took six hours. However, by the time he got to the fourth, he only needed four hours to clean the entire clan out, and even leave most of the buildings in ruins…. By the time he reached the seventh clan, he acted with explosive efficiency. He only took two hours to leave the seventh clan as little more than a crater in the ground…. And yet, that almost didn't count for anything. Most shocking was the ninth clan…. It only took a single hour, and when he departed, not even a grain of dust was left behind…. It was a stunning event to anyone who could see it. Although Bai Xiaochun had experienced many things in his life, the amount of wealth he was amassing by shaking down these nine clans caused even his heart to pound. In fact, he managed to get his hand on quite a few complete fifteen-colored flames, and even some flames of higher quality! Those completed flames were extremely important, because they would enable him to cut down on the souls necessary to practice with eighteen-colored flame. As far as Bai Xiaochun was concerned, seventeen-colored flames were like precious treasures. By the time he reached the ninth clan, it took a lot of restraint on his part not to go shake down the clan located just across from them. When the members of that clan saw his greedy, bloodshot eyes, they hurried out to confirm that their clan wasn’t on the list. After all, it would only take a single order on the part of Bai Xiaochun to send his 3,000 corpse troopers into their clan and ruin it completely. Because of his frenzied shakedown of the nine clans, the name of Bai Hao grew even more infamous in Arch-Emperor City. In fact, it also spread throughout the Wildlands to certain almighty figures in the sects in the Heavenspan River region, who were privy to some of the things that went on in the Wildlands. By this point, Bai Xiaochun was basically addicted to shakedowns, and thankfully, it was at this point that the Grand Heavenmaster issued another set of arrest warrants. Seven more heavenly marquises were apprehended! When the Dharmic decree came down, Bai Xiaochun was delighted. Laughing heartily, he descended upon the offending clans in a storm of shakedowns. As a result, the nobility and aristocracy in Arch-Emperor City began to use every means they could think of to reach out to the Grand Heavenmaster and express their loyalty. For the first time ever, the Arch-Emperor voluntarily went into secluded meditation, which seemed to be a clear message that he was trying to protect the aristocracy and officials. However, the truth was that he was bowing his head in an attempt to win public favor. The Grand Heavenmaster knew that, but didn’t care. He didn’t want public favor; he wanted people to fear him. And that was exactly what he was accomplishing. Bai Xiaochun was very pleased, and shook down the next seven clans with even greater efficiency. The spoils caused his eyes to shine as if they were made from gold. He was not a person who cared much about wealth, and yet, was struggling against the impulse to go shake down all of the heavenly marquis clans in the Arch-Emperor Dynasty…. However, he was always careful to send ninety percent of the goods to Heavenmaster Hall, with one main goal being… helping the Grand Heavenmaster understand how fabulously wealthy these heavenly marquis clans were. Furthermore, that wealth was one of the reasons for their wild ambitions! Sadly, after striking twice against the heavenly marquises, the Grand Heavenmaster didn’t do so again. Bai Xiaochun waited for a while, and then sighed sadly as he thought about the remaining ninety or so clans. “The Grand Heavenmaster is far too merciful. It would be way better to keep shaking down more of those clans!” However, this session of shakedowns was over, and Bai Xiaochun had no choice but to go back to the Inspections Manor, where he once again went into secluded meditation. Thanks to all of the multi-colored flame he had acquired, he began to get more and more familiar with eighteen-colored flame. In fact, he advanced by leaps and bounds, to the point where it was almost impossible to calculate how much time and effort he was saving. The fall of those sixteen heavenly marquises pushed the Grand Heavenmaster’s power to new heights. The Arch-Emperor was now in seclusion, and so were the imperial princes and princesses. Nobody from the imperial clan dared to even take half a step out of their official residences. Even the four heavenly kings chose to submit to the Grand Heavenmaster in this situation. None of them did anything to provoke him. The Grand Heavenmaster was currently the most powerful and glorious person imaginable, even more so than when he had become a demigod and forced the Arch-Emperor to become his puppet. Three months passed by. Because of the shakedowns, and because of the Grand Heavenmaster’s power, Bai Xiaochun was more famous than ever. 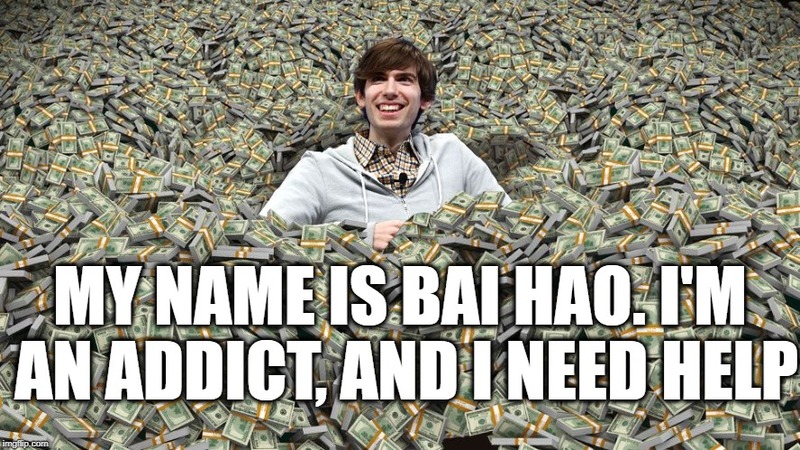 In fact, there were few people in the Wildlands who hadn’t heard of the name Bai Hao. Savages in tribes both large and small feared him, and his notoriety grew as the stories about him spread…. Important note: Because of my travel itinerary later this afternoon, the next chapter will probably come later than usual.